Laravel, the best PHP framework for the web development process. ‘Coding’. It’s not just a word, it’s a process in which you have to involve yourself completely. A one syntax or a semicolon error and the whole tedious process of refining it starts right there. We have many programming languages like Java, C, C++, .net, PHP etcetera. All languages are suitable for different platforms. Like, Java is globally used for better all type of applications like any Stand-alone app or a mobile app or desktop app. But the problem with the java is that it’s very complexly structured language, which consumes much more mental efforts for coding. And more efforts charges more money. After all money is the main thing in the industry. So basically, for global tech leaders and those who have multiple branches and some sort of higher security risks, they prefer java for their framework at any cost. Here cost doesn’t matter a lot in this case. Whereas a small/medium scale businessman/woman in a local market of any part of any country in the world, has nothing to do with whether it’s java or PHP or .net, his/her prime concern is that how can it costs lesser! Well, for them, Laravel framework is the ultimate solution. Laravel is affordable framework as well as it comes with the bunch of features which a developer will love to have! Now, let us focus on What? Why? And how? In the context of Laravel. 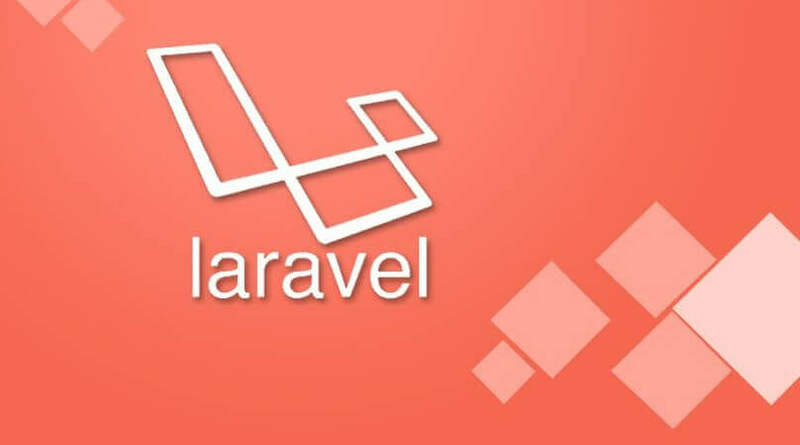 In simple terms, Laravel is a free and open source PHP web framework, which was created by Taylor Otwell , initially realised and stabilised in 2011 and 2019 respectively. Laravel has been evolving since 2011. Starting from Laravel 1 in 2011 to Laravel 5.8 in 2019, Laravel is constantly becoming user friendly and more secure for its users. Laravel framework is created for the development of websites following the MVC (model-view-controller) architectural pattern and based on symphony. Laravel is having its source code hosted on Github and holds licensed under the terms of MIT License . It’s actually the most starred PHP framework on Github as well. Approximately 35000 developers, mostly from USA appreciate Laravel for its robust features. Laravel is far better than CodeIgniter web framework in many ways. It actually conventionalise CodeIgniter and provides the more simplified way of software developing. Now, after this brief introduction, our common human mentality will shout loudly that there are many frameworks available in the market for making softwares and applications or a website. Then Why we should use Laravel? For this ‘why’, we have to take a ride of some salient features of Laravel framework. After reading them all, we can get the reason for choosing Laravel over other PHP frameworks. After releasing Laravel 3, they are providing a modular packaging system with lots of features for easy addition to application. It offers reverse routing, which simply means that any changes in the routes automatically propagated into relevant links. And if in case, links are created by using existing routes, Laravel by itself creates the appropriate uniform resource identifiers automatically. It’s a regression proof framework as it includes unit testing. Automatic pagination simplifies the task of implementing pagination. After Laravel 5.4, it comes with the auto package discovery feature. By installing which, the user doesn’t need to instruct it while installation. It automatically performs the whole process. What the user need to do is just to start the use of it without any headache. Laravel is having built-in lightweight templates with one can create amazing layouts and dynamic content seeding. Rather than writing SQL (Structured query language) codes, the eloquent ORM (object relational mapping) feature of Laravel lets the developers’ issue database queries with PHP syntax. 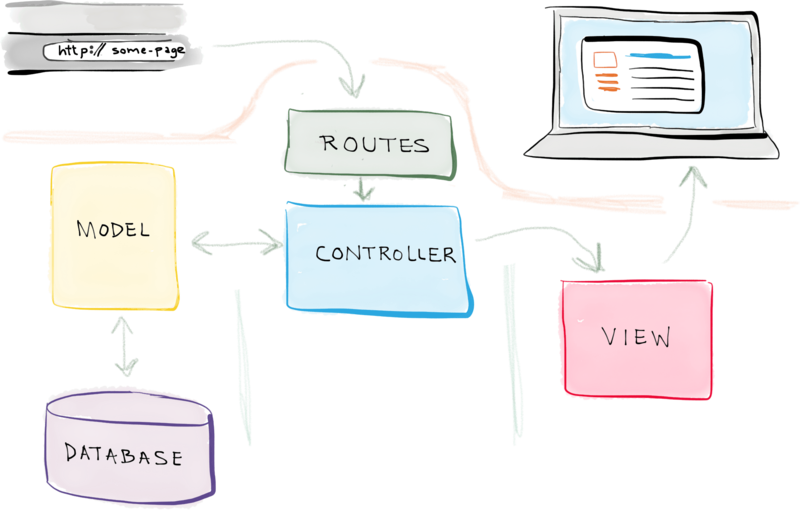 It comes with MVC architecture support that assures the clarity of logic and presentation. 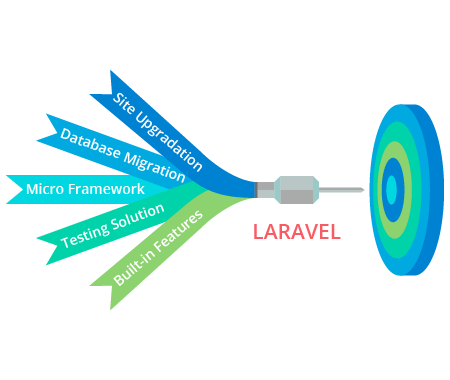 Any changing can be done without recreating the structure of database of a website designing, Laravel migration system helps the developers to expand the structure of the database and to make a change. This feature assures minimum risk of losing the data. It securitise the website designing with the help of hashed and salted password mechanism which never saves the password as plain text in database. It generates an encrypted password rather. Now you are much aware of what is laravel and the reasons why we should choose it. Moving on further, we will have a closer look about some applications of Laravel framework. So let us explore that What can we do with the Laravel? Use case no. 1: If we as a user, want to allow our website visitor to create account and log-in to use the application’s features (just like mails, social media, study website, registration website, etc. ), then Laravel is pretty much suitable for the same. Because only two command lines in the structure and there you go for authentication framework! Use case no. 2: Alerts are the helping hands in today’s tech-era. 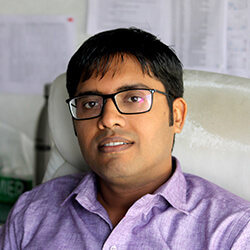 They play an important role to make the user be informed for so many things such as reminders, authentication messages, verification messages, etc. For performing this function, Laravel comes with a robust queuing system. Available queue management tools include dispatch delaying, job chaining, rate limiting, etc. Use case no.3 : Laravel’s Eloquent ORM makes it simple to work with MySQL. Eloquent syntax is easy to use. It is also very easy to understand from basic CRUD (Create, Read, Update, delete) functions, to complex topics. Use case no. 4: All these cases are a bit of developer level use cases. Let’s now take a simple case of a owner of a normal grocer’s shop in any town. He want to create his shop’s website for developing a business out of the town which includes the registration feature and other details like list of grocery item & their price. Now if he goes with java, he will have to pay two or three times more than his budget, which is not worthy and economically beneficial too. But same thing can be done with Laravel at affordable cost and robust user interface. So, Laravel serves best in such cases. Use case no. 5 : Laravel has been designing various websites and applications for Travel related websites, real estate websites and many more. Deltanet Travel, neighbourhood lender, Laravel tricks, world walking, rocket rubbers, fusioninvoice, etc. are some of the examples of websites developed with Laravel framework. After catching what is best in laravel, we will now heading towards the advantages of using Laravel Framework. After all we all are interested in how will anything will be advantageous to us. Laravel make authentication and implementation very much straightforward. It simplifies the authorisation logic as well as control resources access. Laravel doesn’t only build an app or website, but also create a fast one as well, which would result in revenue acceleration. Laravel supports popular cache back-ends, such as Redis and Memcached out-of-the-box. Mail service could be used for sending notifications to emails of users after different events. The framework offers a simple, clean API over the famous SwiftMailer library. It also provides drivers for SMTP, Mandrill, Amazon SES and more, enabling an app to quickly begin sending email via a local or cloud-based service. It provides support for sending notifications across various delivery channels, such as SMS and Slack. Laravel provides better error handling. Nobody would be happy to lose customer due to absence of proper error handling. But with Laravel, error and expectation handling is already configured in any Laravel-based project. Any app or website should run without any bugs and crashes. The automatic testing feature of Laravel these chances are being lowered to almost none or negligible. The most exquisite and relaxing advantage of Laravel is, you can change the look of the webpage without interacting with the developer. Since laravel is MVC framework, there is a separation of business logic code from the presentation code in laravel framework. Vulnerabilities in security go hand-in-hand with developing any web app. Laravel helps secure the web app through shielding it against the most serious security dangers. The code base is guarded fanatically, and the code has been vetted by several individuals. 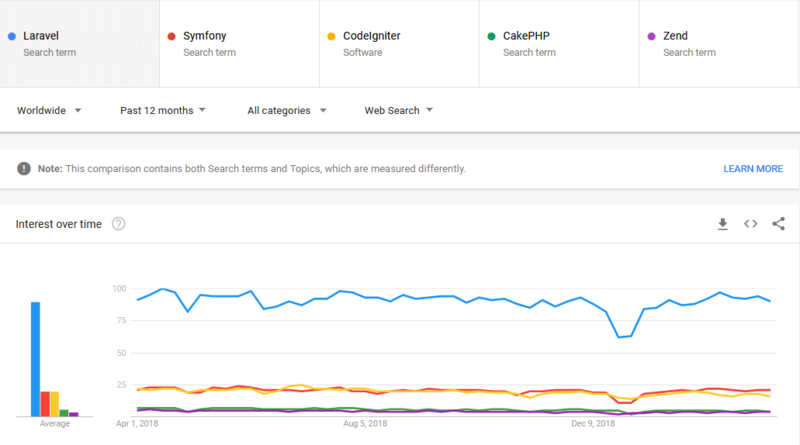 So, these are the reasons why Laravel has featured as the most popular PHP framework in 2018 survey. The above image shows the trend over the last 12 months for selecting PHP Frameworks on Google Trends. Laravel comes with ORM, unlike the CodeIgniter. Laravel can give us the best from its packaged modules whereas codeigniter does not come in packaged modules. Unlike codeigniter Laravel offers inbuilt user authentication. Laravel Allows developers to establish custom HTTPs routes, but CodeIgniter does not allows the same. Laravel is having built-in modularity features, which will divide a project into small modules through a bundle. But the CodeIgniter doesn’t have this feature. In that, we have to create and maintain modules by using modular extensions additionally. As we saw the brief advantages of using Laravel over CodeIgniter, we can say that Laravel is having more features than that of Codeigniter. So by proving the idiom that ‘Change is the universal law of the universe’ we should adopt Laravel for app development for better user experience. Cashier:- It was introduced in Laravel 4.2. Cashier provides an interface for management of billing services. SSH(Secure Shell):- It allows programmatic execution of CLI (Command line interface) command on remote servers using the SSH as an encrypted network protocol. Scheduler:- It helps in scheduling of ‘to be performed’ tasks. Buzzy:- It helps the user to develop his own media sharing web-app. Hello Video:- This is the package which helps the user to create his/her own video sharing websites easily. Botble:- It is basically a content management system for laravel. It enables user to create, modify and manage digital content on the websites. Vanguard :- Vanguard is a login and user management application. It lets the owners to add and enable user authentication and authorisation features to their websites. Pagination:- A way of splitting up content into several different pages and making content layout far more organized. SmartEnd:- It’s an admin dashboard for developers that contains all the options needed to build a website irrespective of its type. Schoex:- Schoex is a one stop solution for school management system which helps in organising the school related things like class schedule, attendance, exam schedule, etc. All stuff about Laravel mentioned above is just like a tributary to the vast stream called ‘Laravel Framework’. Laravel become popular amongst the community in a very shorter amount of time just because of its simplicity and user friendly features. Laravel, being topmost PHP framework, takes off the load from the head of the developer as well as the user. Laravel is having both sides balanced by providing a best user experience as well as giving an exquisite environment for the developers. A resident wizard for iPhone, iPad, Objective-C, Swift, Unity 3D, AR, VR, AR Kit Development and Xcode App Development. Nothing gets him more obsessed than a tricky coding problem or the challenge of finding a more efficient way to deploy a technology solution.